You have to respect anyone who has been a head coach, and a champion in hockey. It takes an incredible competitive mind to taste success in any league – and with the improvements in the UK over the past few seasons – a league title is no easy accolade. 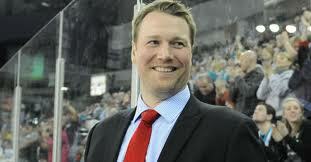 Doug Christiansen has been at the top of the EIHL – and has also led Team GB into battle as a head coach. 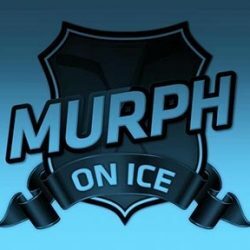 Murph On Ice – Thanks for taking some time to join me on the website here Doug. Doug Christiansen – No problem Murph, thanks for having me. MOI – First off tell UK hockey folks about your new gig and about the USHL overall – and explain how the opportunity came about? DC – I worked with the Boston Bruins at their Development Camp this summer for their draft picks and prospects. I really enjoyed working with high level young players who are working to achieve their goals. The USHL is the top development league in the United States. We have 54 players rated to be drafted in the 2015 NHL entry draft, last season 51 players who played in the USHL were drafted including 16 alums. We have players from 13 different countries and over 95% of our players play Division 1 college hockey. My job is to bring the top young players throughout the world to our league. Our primary competition is Major Junior in Canada. I scout, evaluate and recruit the top young players throughout North America. MOI – Obviously there was some great moments both as a player, and coach for you in the UK. Are there any specific highlights that stick out from your time on this side of the pond? Christiansen and Murph in Riga with Team GB. DC – Coaching the National Team was the biggest honour of my career. It was really special. I loved every minute of it. Domestically, winning the league title in Belfast was the highlight. We had a great team full of great men. They were a pleasure to coach. Coaching in Edinburgh was a great experience. I learned a ton and met some of my best friends in the UK. The Edinburgh teams played so hard and were such great people. We had great characters and we shared some great memories, as well as, some that were not as great. Coaching in Edinburgh was tough but I really have fond memories of working with Scott Neil, Jock Hay and everyone involved. Everyone who works with the Capitals truly loves the team. MOI – Who are some of the best players you coached in your time over here and why? Favourite hockey people you worked with? DC – Martin Cingel was a real friend in Edinburgh. He is a great family man and helped me through some tough times. Kyle Horne is an absolute beauty. Never a dull moment around him. Corey Neilson is a much better person than he gets credit for. I loved beating him and he loved beating me. He pushed me to be better. He is a great hockey coach. Jon Gleed was one of my all-time favourite players, he played the game the way it should be played. Josh Prudden was another player that I think highly of as a man and player. Jeremy Rebek was an outstanding professional and great leader. Adam Keefe is all heart. Loved coaching him. Robert Dowd is such a good man too. I love how he has embraced Sheffield on and off the ice. Rob Stewart and Jock Hay were really good friends that I shared a lot of laughs with, and plenty of long bus trips. I trusted and respected their opinions. Todd Kelman and I are far closer than people think. We went through a really rough time in Belfast that people have forgotten about. I truly believe leaving Belfast after the 2012-13 season was inevitable for both of us. I think had 2012-13 never happened, we may still be there. Jeff Mason is a class act. Great player. Great person. Frank Doyle is an outstanding man. Mike Hoffman was a true character and leader. He was a big reason we had success in Belfast. We have become good friends and are working together to grow the game in the USA. I think we will have some exciting partnerships in the future. Of course, Jeff Hutchins is my best friend in the UK. He should be getting credit for the success of Paul Swindlehurst. Too few British players try to apply their craft outside of Britain, and Hutch helped develop Swindlehurst from an EPL player to a player at an NHL Rookie Camp. He deserves a ton of credit. MOI – As a league the EIHL is always looking for ways to enhance the fan experience and help grow the game – are there any things that you think the EIHL could do to make hockey bigger over here? DC – The league needs to identify standards that are mandatory. The league has grown tremendously. The quality of hockey is better than ever. The EIHL needs full-time employees with no ties to any teams. It needs someone to hold teams accountable. The problem is that the league teams do not want that. They want to run their business the way that they want to, and not be held accountable. The bar should be set at a level that pushes the game forward and forces teams to adapt. Having a set level of professionalism across the board will make everyone’s experience in the EIHL better. People say it is impossible or there is not enough money. They are wrong. There are people everywhere who want to be involved in sports who will do it for less money. The issue is the fact that the league shareholders want to run the league as they see fit. Accountability is a dangerous thing. The frustrations the fans have with the league, are the same that the coaches and players have. For the game to reach its full potential, the league needs to take the next step and that is an independent league office whose full time job is to grow the league, improve the quality of play and improve the fan experience. One thing that should be mentioned is how well Belfast engages the community, they’re actually out trying to make it a better city. There is a reason they were in Sports Illustrated with an eight page article. They set a standard not only for the EIHL but for all sports teams. Their work goes unnoticed far too often. 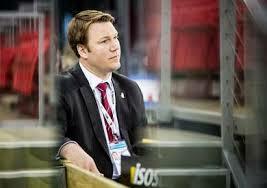 MOI – There always seems to be a few controversies in the EIHL with suspensions and discipline every year. The new Department of Player Safety seems to be moving in the right direction. Do you think it’s a good step forward for the teams and players knowing where they stand on disciplinary decisions with the new system? DC – 100%. Video evidence, openness is the way to go. The league is far better than it gets credit for. The league can compete with the best leagues in Europe. The league is held back by the perception that it is a goon league. It is far from a goon league. The best way to tackle that bias is to stop having incidents and punishing offenders. The concussion trends and litigation in North America will reach Britain sooner rather than later. The EIHL having player safety rules in place is a big step toward that. Being involved with the USHL has been interesting in seeing how discipline is handled. Every major infraction is reviewed, there are fines for referees getting calls wrong, and fines for teams for not sending in video up to $25,000. Accountability for everyone is important but that can only be done with a non-bias league office. MOI – You joined me on TV in commentary for the Grand Final last year on Premier Sports – in your opinion is having the EIHL finally on TV consistently a good move for getting new fans out to the games and venues? Did you enjoy the commentary experience?! DC – I really enjoyed the commentary. It was fun to watch two of my old teams. 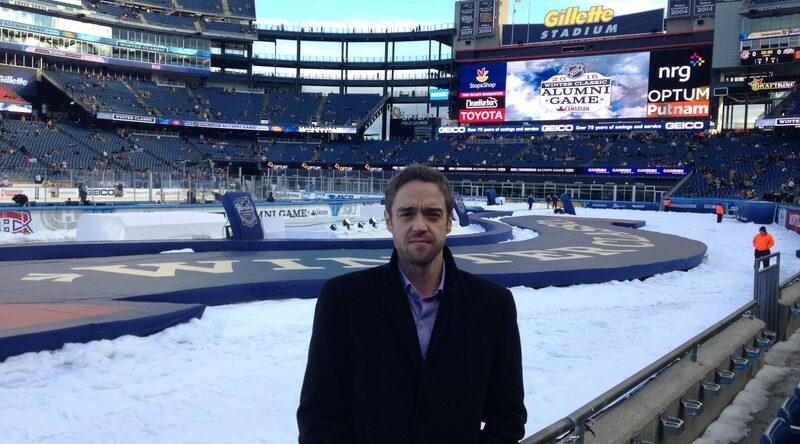 Of course, it was a bit awkward watching Sheffield but, frankly, I signed that team. They went through a lot and G (Gerad Adams) getting his first title was special for him and the players. The EIHL being on TV is a big step forward. The goal should be more live games and exposure throughout Europe. One major benefit the EIHL has is that it is the NHL of Britain. It is in the biggest cities, and is the highest domestic level. It can get partnerships with companies that can really grow the sport, a full time marketing person for the league would be able to pay for their own salary, while growing the league. MOI – With your new role – and development of younger players a key point – what do you think UK hockey can do better to give young home-grown players a better chance of playing at higher levels? DC – British hockey is at a crossroads. It has to decide if it wants to be a country that can compete for Olympic places and Pool A spots. Hockey is exploding throughout the world. Nations like South Korea, Norway and Switzerland put together long term plans for success. They followed those paths and had some bumps in the road. However, the progress is obvious. Switzerland has gone from being a country ranked in the 20’s, to a silver medallist at the World Championships, and an Olympic nation. Norway has done similar things. GB was ranked number 20 in last years rankings. It is getting caught, and passed by other nations that have full time employees. For example, Japan has highly paid full time coaches in charge of development. Great Britain has to decide if it wants to be in a pool with Netherlands, Croatia, Romania etc. or move up. It is not all about dual nationals either. It is about player development at a young age. I truly hope Great Britain takes the next step. I was disappointed that Ice Hockey UK employed a service to analyse the growth of the game and I was not contacted. Regardless of what people think of me, I was involved in five international tournaments and seven domestic seasons. Any thorough independent investigation would have contacted me even if it was only for a dissenters viewpoint. Hockey is big business throughout the world. Currently, too few overworked shareholders in the success of British hockey prevent the actual growth of the game. The game needs full-time attention. The EIHL needs to decide that international tournaments during the season are more important than a weekend of games. Every EIHL team could take the weekend off, and have the contracts with the players not pay them for the week. For example, the EIHL season is 30 weeks. The league pays the same 30 weeks but players get a 1 week vacation during the Olympic break. Import players would love it. A week in Paris or Rome. British players would be able to spend time with their families or represent their country. The EIHL and IHUK have to decide what they want British Hockey to be. There is nothing wrong with being in a group with Romania, but the nation can move up with the right strategic plan. It will take time. They only way out is to develop and follow a strategic vision. The rewards will be worth it! MOI – Any chance we’ll see you around a rink in the UK any-time soon – maybe for a challenge cup junior match in the future between the USHL and a UK all-star team? DC – I really hope I am back. I have a lot of great friends in the UK, and some fond memories. I am hoping to be back in Edinburgh for the British Open next summer at St. Andrews. I think the UK should look to bring a team of under-20’s to the USA for a tour. I think it would be great exposure for the players to be scouted, as well as, for the players to understand how the game is played here. I think it would be eye opening for them to see 10,700 people watching hockey for players under 20, like what happened last week in Sioux Falls in the USHL. MOI – Thanks again for coming on to talk hockey Doug, good luck in the new job, and see you hopefully sooner rather than later..
DC – No problem Murph, enjoy the rest of the season over there. Previous PostPrevious A Very Premier Deal! Next PostNext Premier TV Coverage!